The snow is on the ground here in Colorado, but that doesn’t mean it’s the end of the riding season. It just means it’s time to layer up and have more fun! Nothing ruins a winter ride faster than cold toes or cold hands. If that can be avoided, rides in cold, snow, sleet, etc are not that bad. For the toes, full booties or just toe warmers work incredibly well. Unless it’s really wet or very cold, toe warmers are usually sufficient to take keep the toes warm. For the hands, an over mitten that is water and wind proof is the key. 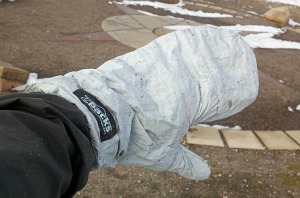 I’ve found that big bulky winter gloves don’t work that well, but a layered approach keeps me warm for entire rides. It doesn’t matter if it’s scraggly and starting to grey like mine. Rock the beard for the winter. It makes a great insulation layer so that lovely little face of yours won’t freeze off. If you can’t or won’t go the beard route, a neck gaiter is a good option to protect the neck and chin. I use a neck gaiter over a balaclava because I find the gaiter is not as restrictive and it can be pulled down easy if you get too warm. Would you endure a little extra cold and wet if you knew there was hot coffee or good beer ready at home? Yeah, me too. So setup the coffee so it’s ready to brew or make a beer run the day before so you’re all set to enjoy the reward of winter cycling. There is nothing wrong with giving yourself an incentive to keep riding year round. I’m partial to both beer and coffee so why not combine the two? 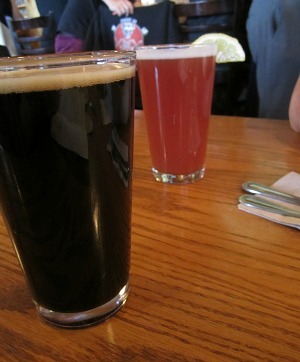 Go for a Java Porter or Java Stout beer on your return home. My personal favorite is the Mountain Sun Java Porter. It doesn’t get much better than that. Looking for one last tip before you plunge out into the cold? Call in the next 5 minutes and we’ll double your order and throw in a jar of peach preserves. Wait, that was a replay from a bad infomercial. Here’s tip #4 for the day. Join the singlespeed world and never ever worry about bad shifting in the mud or snow. Ok, I’d recommend singlespeed for any time of year, but it’s the bestest in the winter. 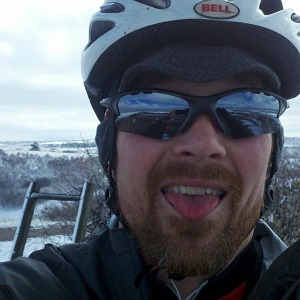 Cold is only temporary, the smiling from enjoying winter riding will last a long time.